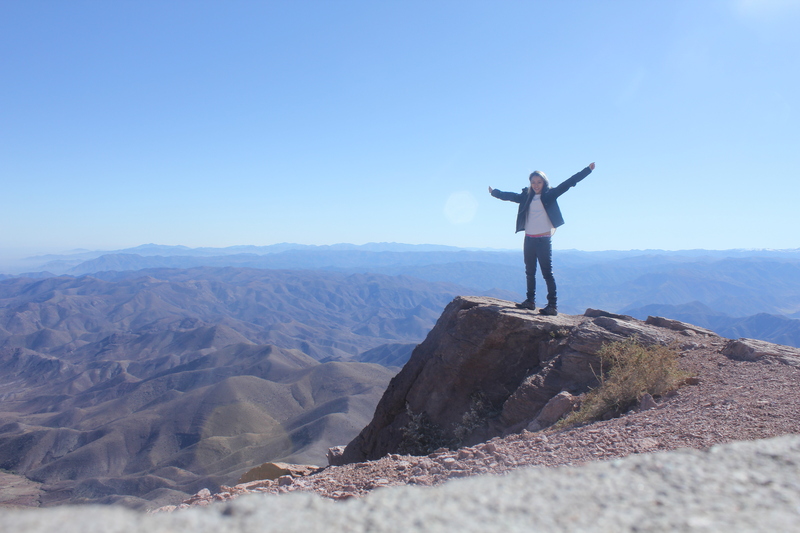 I had the rare opportunity to go observing on the 4m Blanco telescope on Cerro Tololo, Chile. The telescope itself was built in the 70’s so its mind blowing that it is still functional today. This telescope like many other similar oldies are constantly given new life with the instalments of new instruments. Right now, that would be DECam, a CCD imager who’s scientific purpose is to understand the cosmic acceleration. I took the evening shuttle up mountain, with wild horses, goats and cacti of all shapes and sizes making appearances along the way. It is amazing the infrastructure they have in place here. The roads carved into the endless ripples of dry, desert hills. The journey took about 1.5hrs from the local town La Serena but would’ve taken a lot longer on donkey-back as they did back in the day. The facility on the mountain was impressive, it was fully equipped with internet, water and electricity and the meals were delicious. Every night whilst observing, the cooks would prepare us a night lunch – it was definitely needed. It’s currently winter in Chile which means the nights are long. In between the hills you can clearly see the fog that is the inversion layer. 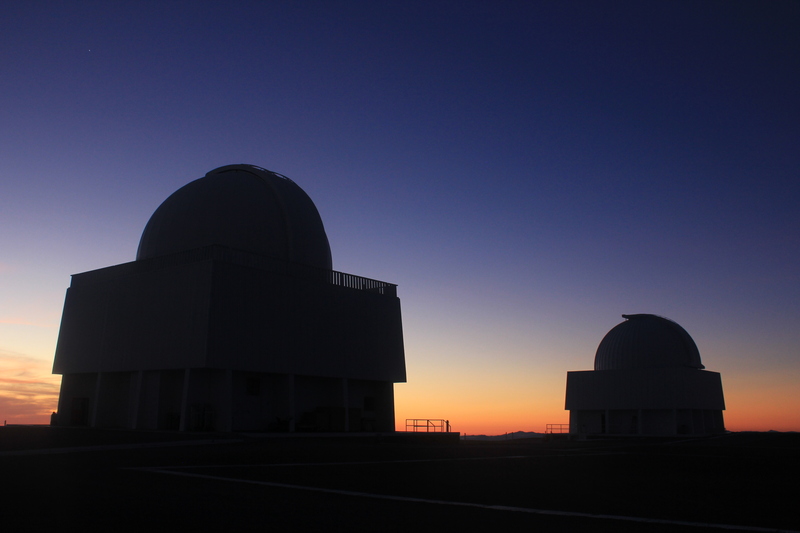 Evening twilight on Cerro Tololo, both observatories shown aren’t the ones I worked in but were just as impressive. Just before night-fall, I would walk the path up to the observatory. The observatory is huge! i could actually see it, miles away whilst driving up the mountain. A shining orb of the knowledge to come, the dome is made of a reflective material in order to maintain the cool temperature within. At 7.30pm, I would head outside to watch the sunset. It was beautiful every time. The hills below were endless and engulfed within a hazy fog they call the inversion layer. If the inversion layer were not present, we would be able to see the south pacific ocean, however it would also mean bad weather to come. As the sunset, the snow-topped mountains would light up pink, twilight begins. Back in the control room we had to wait until the sun was 14 degrees below the horizon before we could begin. Once it did however, it was non-stop until 7.30am the next morning! 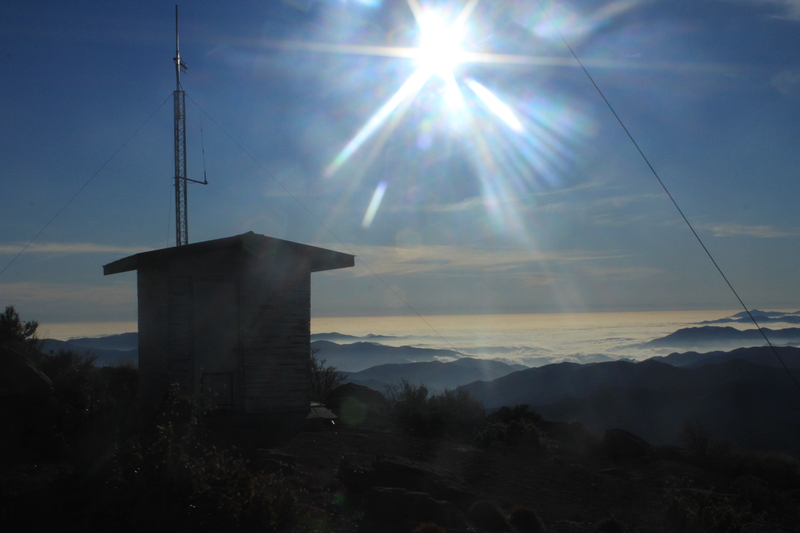 Thankfully the observatory was fully equipped with a kitchen and toilets and the main thing was that it was warm! Each night, I would take a break and go outside. It was always pitch black, which was quite worrying since I’m sure countless individuals have blindly stepped off the mountain to their deaths. The skies were unbelievably clear whilst I was observing, and it was easy to see the milky way. In deserted locations like these, where the light-polution from civilisation is non-existent, there are always countless more stars than the eye can see. Just before morning twilight, I observed for the first time the zodiacal light – a hazy glow in the east caused by scattered sunlight off interplanetary debris. 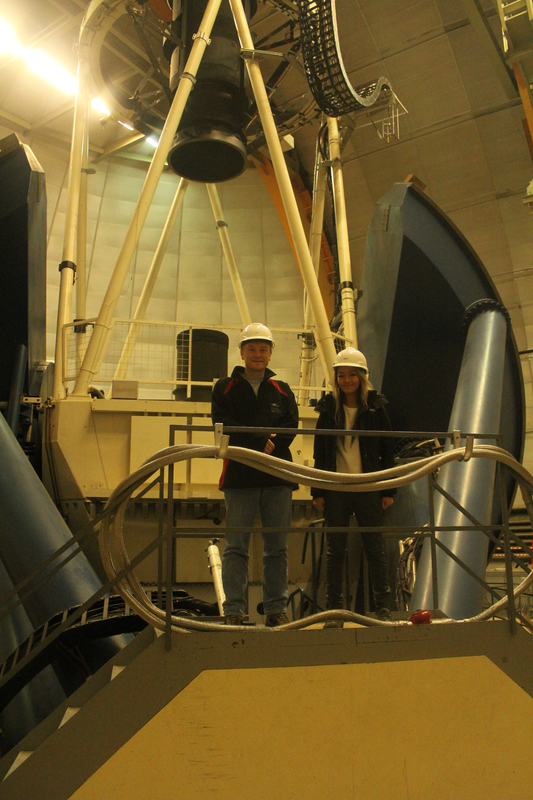 For my observing run, I was accompanying Dr. Chris Lidman, a staff scientist of the Australian Astronomical Observatory (AAO). This gave me the opportunity to tour the telescope itself! Up 5 levels in an elevator is where the telescope lives. It was gigantic! In fact below the telescope there was a net to catch people in case they fell off! Mounted on the sides of the dome were 2 giant white screens that would be projected by LED lights for flat fielding. The floor below was the aluminizing chamber where every 2 years the mirror is dropped down and slid into. Here the old aluminium surface is removed using hydrochloric acid and a new aluminium layer is deposited. The whole process takes 6 days! The telescope is also regularly cleaned by CO2 and is carried out by walking onto the mirror itself! Another interesting thing I found was the cryogenic pump. This pump is used to maintain DECam’s temperature and is constantly roaring day and night. It kinda sounds like the Tardis. This amazing piece of equipment needs maintenance every 7 months, costs $35,000 and will put the observatory out of use for a week. I was lucky enough to get 3 clear nights of observing in total and am very sad to leave. However I really need to catch up on some sleep now. Adios Chile.